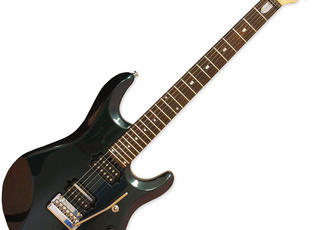 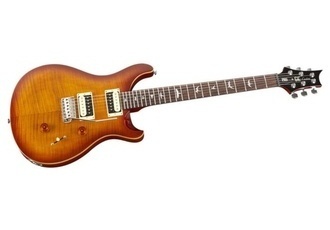 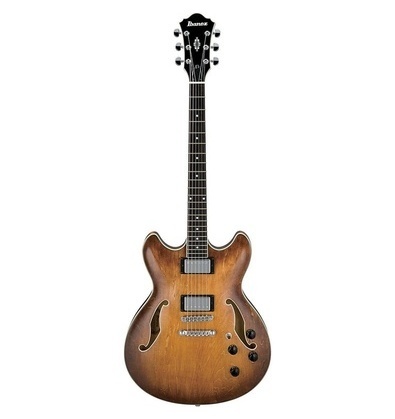 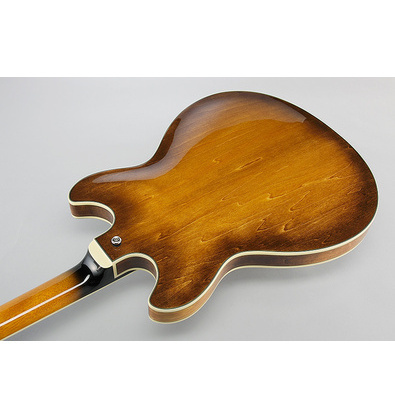 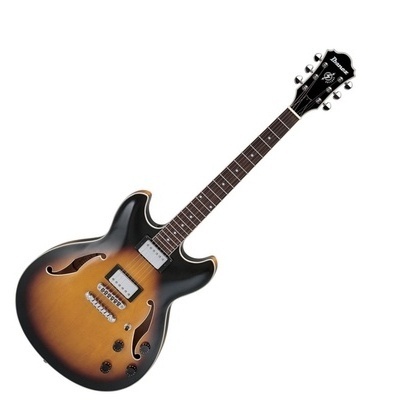 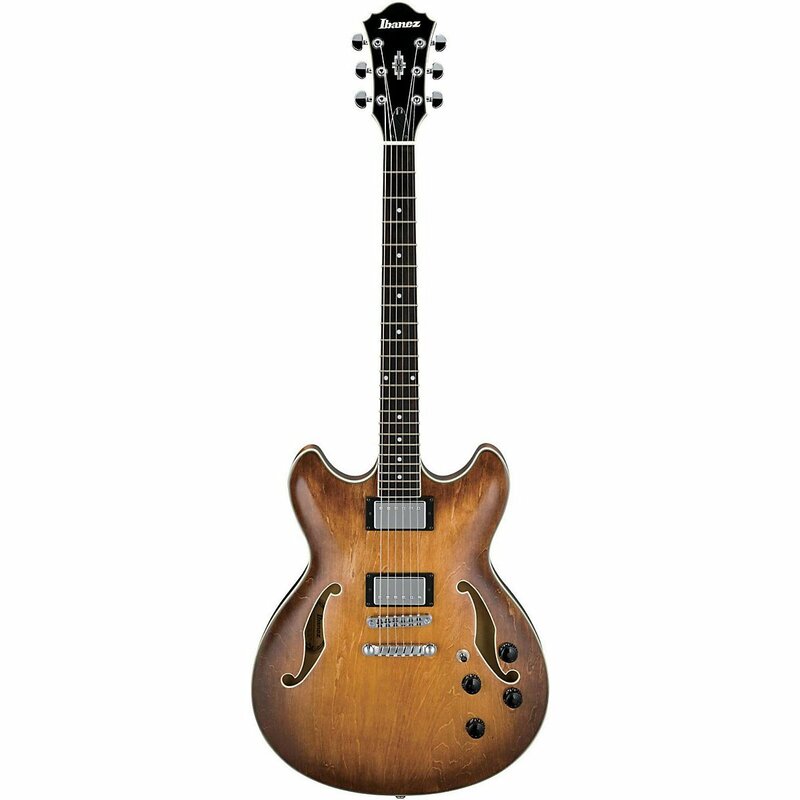 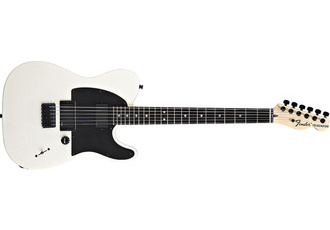 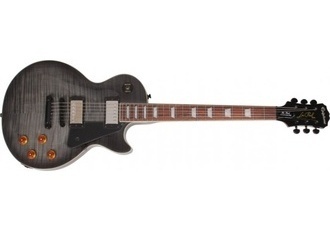 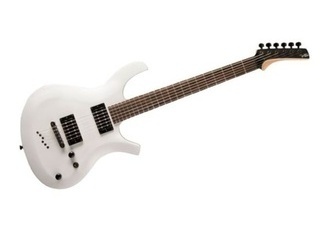 From the semi-hollow Ibanez Artcore series. 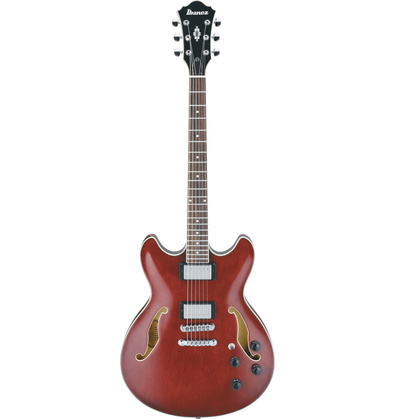 Slightly bigger than the AM73, thus similar to ES-335. 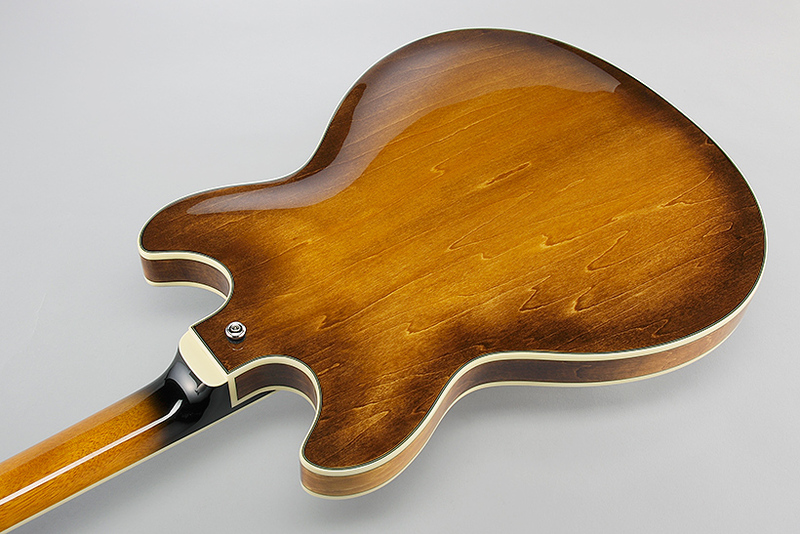 A nice, affordable (and quite pretty) choice if you`re going for a classic blues tone.